Bike to Work Day May 17th! Dedicated to providing free information about commuting alternatives for employees, employers, residents and visitors in the North Bethesda area. North Bethesda is home to major employers, such as Marriott Corporation and Lockheed Martin Corporation and is also a prominent retail center featuring Lord & Taylor, Nordstrom, and other fine shops and restaurants. More employees work in North Bethesda than in any other Montgomery County jurisdiction. Altogether a total of 70,000 employees and over 1,000 employers are based in North Bethesda, which offers public transportation and other commuting solutions. The North Bethesda Transportation District is one of six TMDS in Montgomery County. The five others are Friendship Heights, Silver Spring, Bethesda, Greater Shady Grove and the newest, White Oak. The North Bethesda TMD is operated by the Transportation Action Partnership (TAP) under the name “North Bethesda Transportation Center” (NBTC). The North Bethesda Transportation Center provides free services to employers, employees, residents and visitors in Grosvenor, White Flint, Twinbrook, Executive Boulevard, and Rock Spring Park. Three Metro Stations serve the North Bethesda area – Twinbrook, White Flint, and Grosvenor. On an average weekday, more than 25,000 trips are made in and out of these Metrorail stations. There are 13 Ride On bus routes, 6 Metrobus routes, and shuttlebus service to North Bethesda’s 3 Metro Stations, taxi service, and opportunities for carpools, vanpools, biking, walking, teleworking and flextime. Employers in North Bethesda are encouraged to contact the North Bethesda TMD office to obtain assistance with their Traffic Mitigation Plan (TMP). For more information, go to TMD Legislation, and Sample TMP. 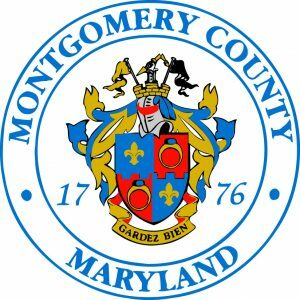 Under Montgomery County legislation, these “TMPs” are required of employers of 25 or more employees in TMDs, to assist with achieving the congestion reduction objectives for the area. With these plans, employers can ensure their employees are aware of their commuting options while discouraging solo driving. TMD staff can show employers how they can offer these benefits at little or no cost, providing assistance to their employees while at the same time helping their bottom line and the community. © 2018 NBTC.ORG all rights reserved.